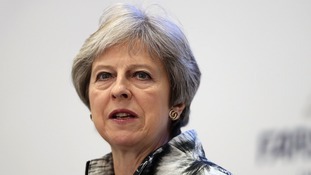 Pro-Leave Tories have forced the PM to ditch her Chequers plan. Justine Greening says Theresa May's Brexit plan is the "worst of both worlds" and wants a second referendum. Speaking from the backbenches, the former education secretary said future MPs could "improve or undo" what is implemented. In a letter to Education Secretary Justine Greening, the unions warned that pay levels had fallen behind other graduate professions. Education Secretary Justine Greening has vowed a "significant" investment in schools ahead of the planned national funding formula. The National Union of Teachers says the government has spent £138 million on schools which are now closed, or never opened. Education secretary met by booing and shouts of "rubbish" after she claimed that selective schools help close attainment gap. Justine Greening has said the Government's proposal to ask companies to reveal the number of their foreign workers will not be made public. Justine Greening has been appointed education secretary and minister for women and equalities, Number 10 said. She was formerly the secretary of state for international development. She told reporters it was her "perfect job" as she left No 10. Justine Greening, the secretary of state for international development, has arrived at Number 10, as Theresa May's Cabinet reshuffle continues. An announcement on her position in the Cabinet is expected soon. Asked if she might fill the health or education posts, Ms Greening said "it's not up to me".